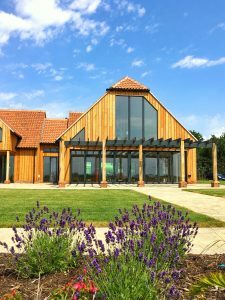 Old Park Meadow Natural Burial Site is located in a tranquil setting to the North of Chelmsford, on the Dunmow Road (B1008) between Chelmsford and Great Dunmow, consisting of 34 acres of wildflower meadows and young woodland. The land was previously used for crops; these were harvested, and the fields then planted extensively with grasses, wildflowers and trees. As time passes, we will continue planting and growing flowers, trees and meadows to create a natural environment for green and woodland burials in a beautiful Essex landscape. In developing Old Park Meadow, we have endeavoured to ensure our meadows, woodlands and remembrance garden are as colourful, engaging and enjoyable as possible all year round, while making certain that our site meets our objective to become a natural haven for plants and wildlife. As much as we describe it, the best way to appreciate our stunning site is to see it for yourself. Please click here for our address and directions. Old Park Lodge is a beautiful building created from larch and glass, designed especially for services, functions and events. The Lodge can host over 300 people and includes a large reception area for greetings and goodbyes. When the sun is shining, we can open the large folding doors to bring the outside, inside and allow the beauty of the meadows and woodlands to be enjoyed by all during this time of celebration, commemoration and contemplation. To find out more about Old Park Lodge and the services it can provide click here. The burials and ash interments at Old Park Meadow take place in our natural woodlands and meadows. 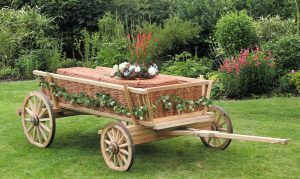 On natural burial sites, over time the graves become part of the landscape, enabling trees and plants to grow and creating a living memorial to those who lie there. There are no headstones or statues in our meadows and woodlands, unlike in a usual cemetery, leaving nothing that is non-biodegradable to fall into disrepair. We fully understand that some families wish to mark the grave, and offer engraved slate tablets, which are totally maintenance free so will never fall into disrepair. Click here to find out more about our tablets and other memorials available at Old Park Meadow Natural Burial Ground. Copyright © 2017 Old Park Meadow. All Rights Reserved.